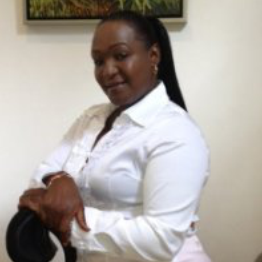 Madam Florence Nduta is Kenya International Film Festival Director. Florence Nduta has over 25 years’ experience in the Hospitality and Airline Industry, specialising in the field of Sales and Marketing. She is also a Fluent French speaker. Madam Nduta has also worked as a Bank Manager for 5 years in charge of premium banking account holders. An acclaimed Kalasha Award Winner and current National Secretary of the Kenya Actors’ Guild, she is a Director of Eldowool Investments, Rakabi Insurance Agency, Centm Solutions and the Project Manager/Trainer with Sammy Lui Communications Ltd. Florence sits on the International Film Convention Kenya Organizing Committee 2017 which is geared to taking the Audio Visual Sector in Kenya and the Region to the next level.